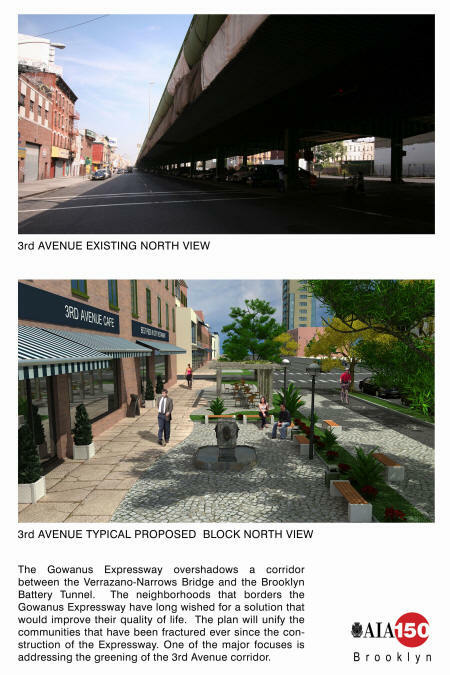 The notoriously congested Gowanus Expressway in Brooklyn would be demolished and replaced by 4 miles of greenery under a plan being floated by a leading architectural group, the Daily News has learned. 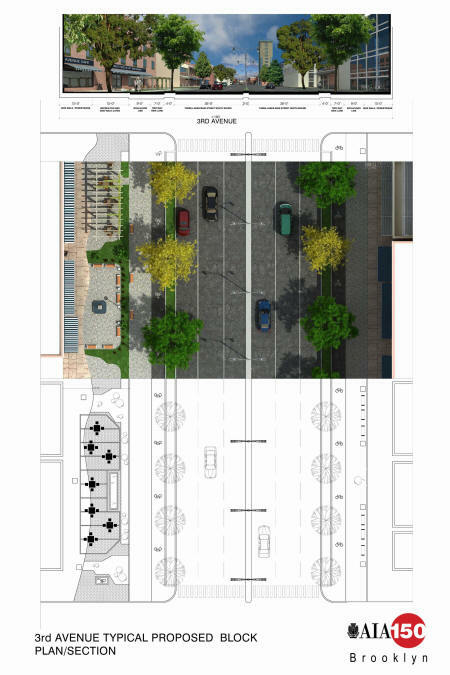 Designs drafted by the American Institute of Architects call for replacing the deteriorating Third Ave. expressway with a glitzy cable suspension roadway on First Ave. and filling the gap with miles of trees and bike paths. “The Gowanus Expressway is an aesthetic blight to the communities it straddles,” said architect Glen Cutrona, a former president of the Brooklyn chapter of the AIA who spearheaded the project with other local architects. The project, which began in 2005 in anticipation of the group’s 150th anniversary last year, has yet to be approved by city or state officials but could get a lift when architects pitch the design over the coming weeks. The expressway, which connects the Verrazano Bridge with the Battery Tunnel, has been a sore spot ever since it was expanded in the 1960s, when construction tore through neighborhoods and forced the condemnation of homes. A separate plan to replace the expressway with a tunnel has also been studied by the state Transportation Department for more than 20 years but has yet to become a reality. 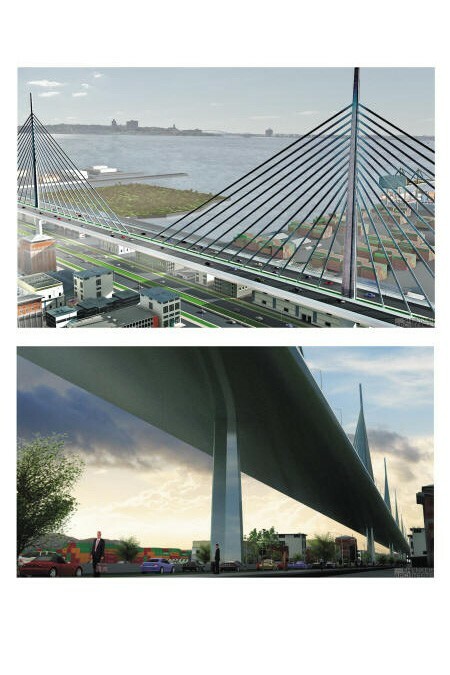 “It will be less expensive than a tunnel and it will also be more user-friendly,” said Community Board 10 member Larry Stelter, who said the plan is among the most viable. Rep. Jerrold Nadler, who has fought for a freight tunnel that would begin near the Gowanus Expressway and connect to New Jersey, was also optimistic about the plan. “I certainly welcome the AIA’s plan to help revitalize the [area],” said Nadler (D-Manhattan). Shenker Architects played leading role in the development of this publicly significant project.